Steven D. Weil - Doherty, Dugan, Cannon, Raymond & Weil, P.C. Steven Weil is an experienced trial attorney who has successfully represented clients in both the state and federal courts for more than 30 years. He specializes in civil litigation and domestic relations law. Mr. Weil received Martindale Hubbell’s rating of AV Preeminent in recognition of his having achieved the highest standards of ethical conduct, ability as a trial attorney and knowledge of the law in his practice areas. Mr. Weil, a shareholder in the firm, has successfully represented national and regional real estate development and management companies, as well as national restaurant chains. He serves clients in a wide range of matters related to civil litigation, including contract disputes, construction matters, zoning and land use litigation, leasing, environmental problems, insurance defense and coverage cases, landlord-tenant matters and employment disputes. He represents local businesses in business disputes and individuals in personal injury matters. He is a member of the Greater Boston Real Estate Board, the National Apartment Association and the Massachusetts and Norfolk County Bar Associations. 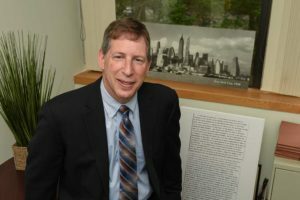 In his domestic relations practice, Mr. Weil has effectively represented individuals involved in difficult family disputes that include marital property divisions, child custody, alimony and child support, modifications of prior judgments, removal and relocation, health and life insurance, trusts, paternity, guardianships and conservatorships. He is certified by the American Academy of Financial Litigators as a Certified Financial Litigator, handles Guardian ad Litem appointments in child custody matters, serves as a conciliator for the Norfolk County Probate and Family Court, and has been trained as a mediator. He serves as court-appointed trial and appellate counsel for the Committee for Public Counsel’s Children and Family Law Division. Prior to joining Doherty, Dugan, Cannon, Raymond & Weil, P.C., Mr. Weil was a partner at Cohen & Fierman in Boston, an associate at Griffin & Goulka in Boston and a law clerk to the justices of the Massachusetts Superior Court. 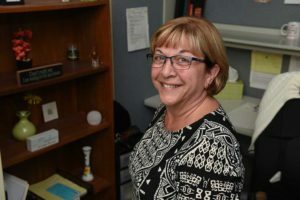 He began his legal career as an attorney for Metro-West Legal Services, establishing a legal services program for senior citizens in Norfolk County. Mr. Weil is actively involved in the community. He is currently vice president of the Board of Jewish Family and Children’s Services, one of the largest human services providers in Massachusetts. He has served on the advisory board for the agency’s Legal Services Program for more than 20 years and currently chairs an advisory committee for the Center for Basic Needs. In 2007, he received the Simone Lottar Exceptional Community Service Award from Jewish Family and Children’s Services. He is a past president of Temple Beth David in Westwood, coaches youth sports and regularly rides in the Pan Massachusetts Challenge for Dana Farber Cancer Research Institute. He lives in Sharon with his wife and two children.